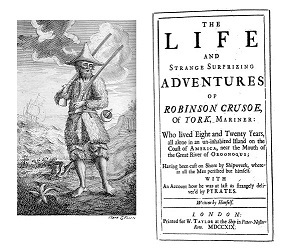 Robinson Crusoe, by English author Daniel Defoe, was first published. La Marseillaise (the French national anthem) is composed by Claude Joseph Rouget de Lisle. Highwayman Nicolas J. Pelletier becomes the first person executed by Madame La Guillotine - Le Rasoir National. Artist abstract expressionist Willem de Kooning born in Rotterdam, the Netherlands. Journalist Edward R. Murrow born in Greensboro, North Carolina. American architect William Pereira (Transamerica Pyramid) born in Chicago, Illinois. The Battle of Gallipoli begins during World War I when Australian, British, French and New Zealand troops begin landing at Anzac Cove and Cape Helles. Jazz vocalist Ella Fitzgerald born in newport News, Virginia. Bluesman Albert King born in Indianola, Mississippi. American painter Cy Twombly born in Lexington, Virginia. Actress Shirley MacLaine (Irma la Douce)born in Richmond, VA.
American poet Ted Kooser Born in Ames, Iowa. Actor Al Pacino (The Godfather) born in East Harlem, New York City. Fringe theorist and author Richard C. Hoagland born in Morristown, New Jersey. Francis Crick and James D. Watson publish "Molecular Structure of Nucleic Acids: A Structure for Deoxyribose Nucleic Acid" describing the double helix structure of DNA.